-An Odon woman was arrested on today’s date for Operating While Intoxicated with a Controlled Substance and for Possession of Meth. Bond for 31-year-old Lindsey Ervin was set at $2500. -Also overnight, Justin Russell of Linton was charged with Operating While Intoxicated with Refusal and Possession of Marijuana and Paraphernalia. Bond was set at $2000. -Friday, a Martinsville man was booked into the Daviess County Security Center for Theft. Bond for 28-year-old Dustin Parker was seta t $2500. -At just before 3 this morning there was a report of a minor accident where a semi trailer was in a ditch at the Perdue plant. -A vehicle went off the road into a ditch yesterday evening at 6:45. The call came in from an address on 300-North. There were no injuries. 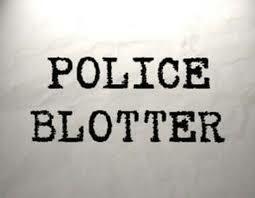 -A theft was investigated at a Bent Avenue residence last evening.